We are manufacturer and Exporter of high quality furniture at competitive price. Our company are specialist producer of wooden teak furniture since 2002 and We have exported Our products to many countries. 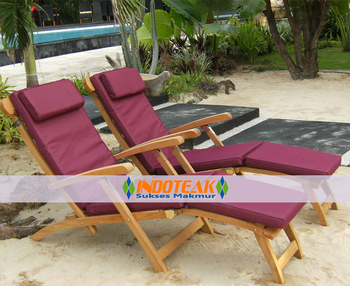 We offer the high quality of teak garden furniture such as teak benches, garden chairs, steamer chair, teck chaise lounges, textilene furniture combined wooden teak, spa stool furniture, shower bench, teak table, outdoor furniture sets, teak patio furniture, rattan furniture, and others products of colonial indoor furniture.